Welcome to the 2019 Dealbreaker Tournament Challenge, your chance to profit off unpaid labor just like the NCAA does! As always, the rules are simple. Sign up for free, fill out your bracket with your genius picks, then sit back, relax, watch all those picks prove right, and win a fantastic prize. This year, our winner gets a top-secret piece of sweet Dealbreaker swag, and if a shot at that isn’t worth a $0.00 entry fee, we don’t know what is. But how to make those picks? Last year, the tried and true method of always picking No. 1 seeds in the first round proved false when UMBC knocked off Virginia. You’re also not supposed to pick an 11 seed for the Final Four, but Loyola Chicago blew that one up, too. We&apos;re rewarding upsets with points in the first two rounds, then it&apos;s back to a point a win from the Sweet Sixteen on to the final. You could go with the team that has the best player to be your national champion, but that would be Duke, with Zion Williamson, and picking Duke means spending up to three weeks rooting for Duke. Nobody should do that. You could pick a school embroiled in academic scandal as a sign of their commitment to athletic success no matter what the rules are, but that would lead you to Yale. That’s another no-go. How about Virginia, back as a No. 1 seed, getting the ultimate redemption for last year’s debacle? 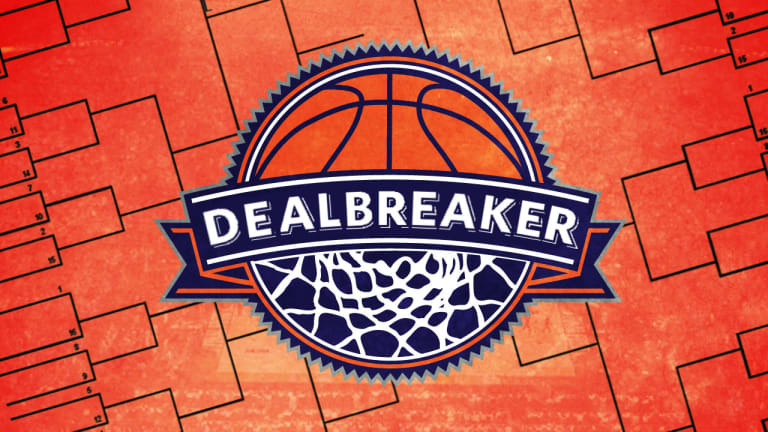 There’s probably good reason to like the Cavaliers’ chances, but honestly, we don’t know what they are because we haven’t paid attention to college basketball pretty much all year and we don’t know why you’re even still reading this post, whose entire point is to get you to sign up for the Dealbreaker Tournament Challenge. That should be the best selling point we’ve got. This is a contest that costs you nothing, allows you to have some fun following March Madness, and provides an opportunity to win a fabulous prize, or at least get bragging rights over Dealbreaker staff, who will enter this contest as cannon fodder, eligible for embarrassment but not the prize. Enter before the games tip-off on Thursday, good luck, and stay tuned for updates on the contest all through the tournament. It’s your chance to be featured on Dealbreaker without being a scandalized German banker! 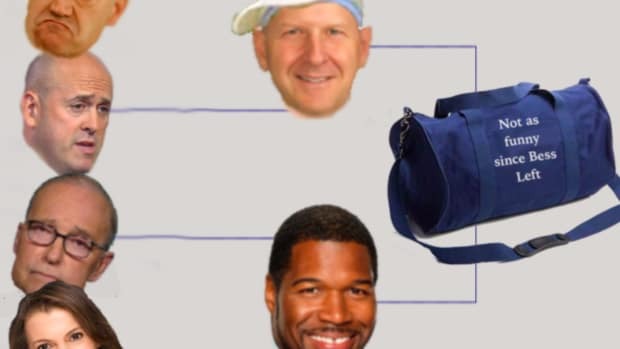 Dealbreaker Madness Week 1 Update: Duke Survives, Hell Is Real, Etc. Dealbreaker Madness Update: We Have A "Winner"
Congrats to Ryan Porter, King of the Losers. SPOILER ALERT: You've all lost. Behold The Dealbreaker Final Five! The rest of you can officially stop paying attention now. Dealbreaker Madness 2018 Is Upon Us All, And Many Shall Lose! For the FREE HELICOPTER RIDE we're giving away. Winners, losers and intentional losers from March Madness' first week.